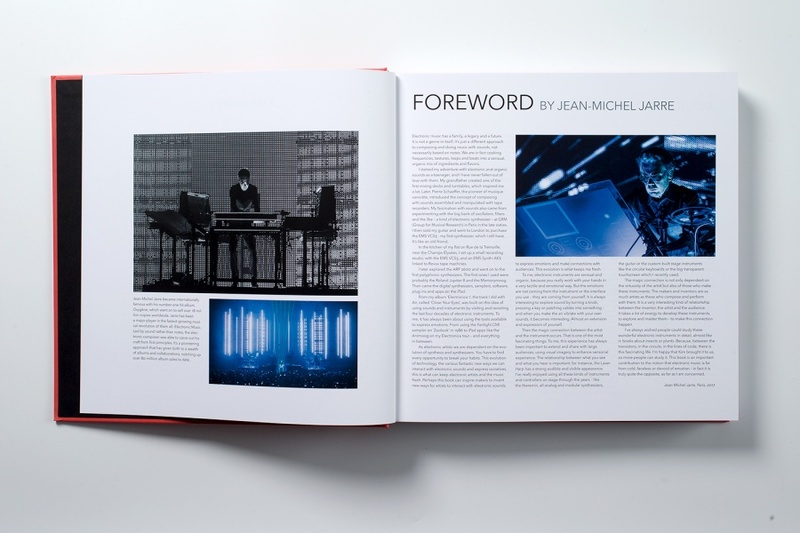 352 pages richly illustrated with photos, illustrations, and prototypes, and with a foreword by electronic music visionary Jean-Michel Jarre. 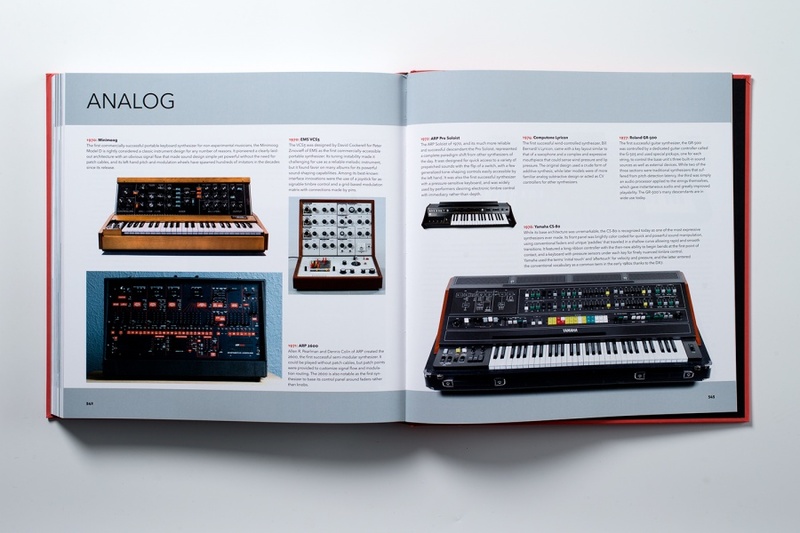 The book celebrates the art and science of interface design in electronic music by exploring the functional, artistic, philosophical, and aesthetic worlds within the mysterious link between player and machine. 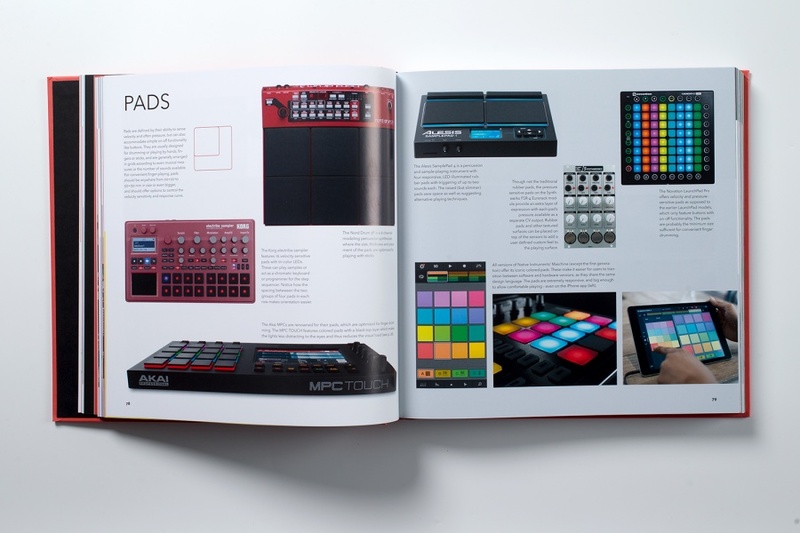 Meet artists like Dorit Chrysler, Suzanne Ciani, Richard Devine, DiViNCi, Laura Escudé, Ean Golden, Axel Hartmann, Larry Heard, Roger Linn, Keith McMillen, Moldover, Jordan Rudess, Dave Smith, Tatsuya Takahashi, and others, along with well-known music industry brands like Ableton, Arturia, DJ TechTools, Elektron, Korg, Make Noise, monome, Moog, Native Instruments, Novation, Propellerhead, Roland, Teenage Engineering, and Yamaha. Author: KIM BJØRN is an electronic musician, composer, and designer, with a profound interest in the interactions between people, and between people and machines. He focuses strongly on aspects of visual design such as interfaces, corporate design, and organizational branding. 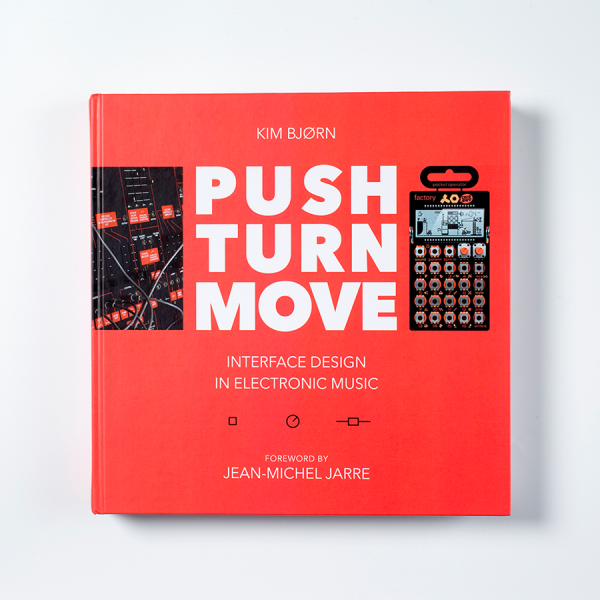 PUSH TURN MOVE is his seventh book; it follows six books on visual design and aesthetics. Kim teaches interface design at the Danish School of Media and Journalism, and gives regular talks and workshops within the creative field; he has released six albums of ambient music and has performed live at venues and festivals around the world. Based in Copenhagen, Kim is close to his daughters and granddaughter but works and travels the world over. Brand Management: LARS JUHL is a visionary conceptualizer and entrepreneur bringing music tech brands, artists, and the education sector together. His iPad- based teaching programme The Electronic School Concert is currently democratizing music making in European schools. Lars has directed Kickstarters, hundreds of music tech workshops, and is a vital partner of Knowledge Arena. He is also a keynote speaker, author, pianist and DJ with a degree in Music and Literature. As composer and producer for EMI and BMG, Lars has music released worldwide. his website mrspiral.com offers links to his music and more information about his ongoing projects. Editor: PAUL NAGLE is an electronic musician, author, and synth enthusiast, whose reviews are frequently featured in SOUND ON SOUND magazine. His catalog includes 4 novels and dozens of albums of solo and collaborative material with groups such as Binar, Headshock, and Joint Intelligence Committee. Paul’s library of music is available from synctracks.com, and his electronic music is linked from his bogusfocus.com website (which he’ll fix one day). Copy Editor: DIANA SMETHURST is an author and magazine editor whose current position is as Copy Editor of RECORDING. She only recently discovered the wonders of electronic music and has released her first album under the name Gypsy Witch. Learn more about her endeavors here.